On Saturday, September 22nd 2018, the Dog School doors will be open for all dog owners interested in learning more about principles of positive motivation and establishing a stronger connection with their dogs. All our friends who have completed Dog School with their dogs are invited to join us and bring along their pets if being around other dogs will not create stress for them. This is an excellent opportunity for those planning to adopt a dog to talk to the Dogs Trust Fostering Coordinator and Dog School Coaches, learn about our quality rehoming and find out what type of dog would be perfect for them. 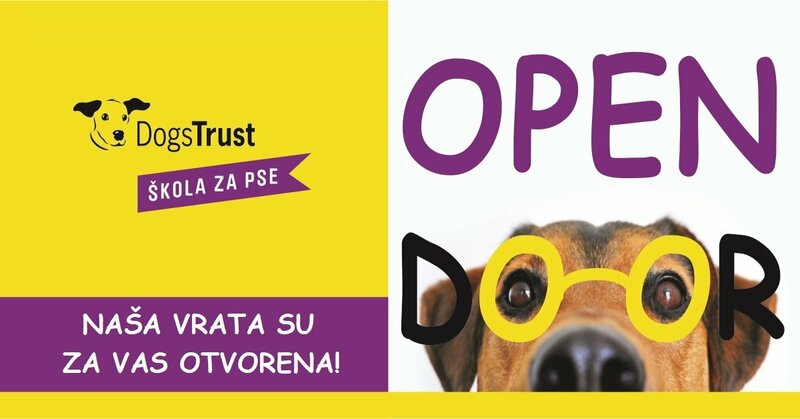 We invite you to join us on Saturday, September 22nd 2018 at Dogs Trust Dog School, Semizovac bb, behind the Energopetrol gas station.